Alternative ways of thinking, analysing and performing economic geographies have become increasingly significant in recent years, partly due to the recent financial crisis, which has had social and political consequences throughout the world. Yet there is a danger that the debate about alternatives may become simply a way of fixing global capitalism in its present crisis-ridden form. Instead, the analysis of alternative economic spaces must continue to offer a critique of the very notion of capitalism as a universal, if variable, set of social relations. 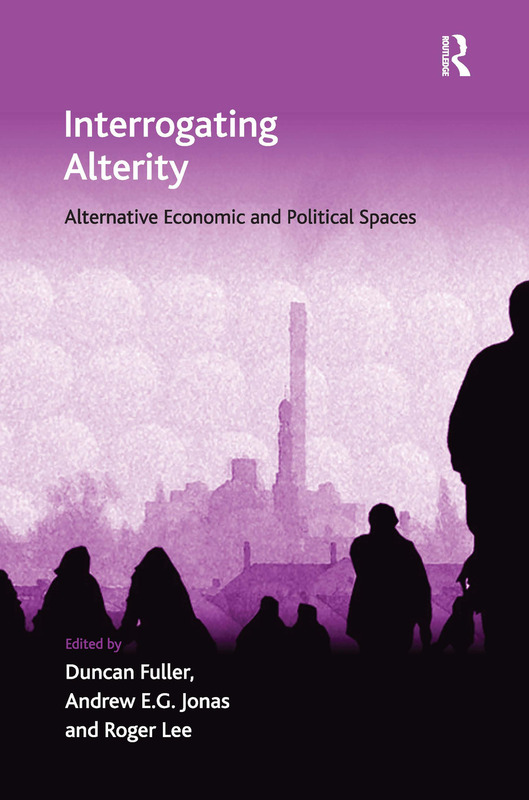 This important book brings together critical analyses of alterity from across the social sciences and humanities, refining and advancing what alternative economies and polities are, how they are formed, what difficulties and problems they face, and how they might be sustained. A central theme is the need to examine critically both the material contexts and the conceptual categories deployed in the making of alternative economies.